March 27, 2012 — SkyIMD, Inc., provider of advanced aerial imaging systems, has announced that Cessna Aircraft Company has selected the SkyFusion Pak system for the Cessna Enforcer Program. 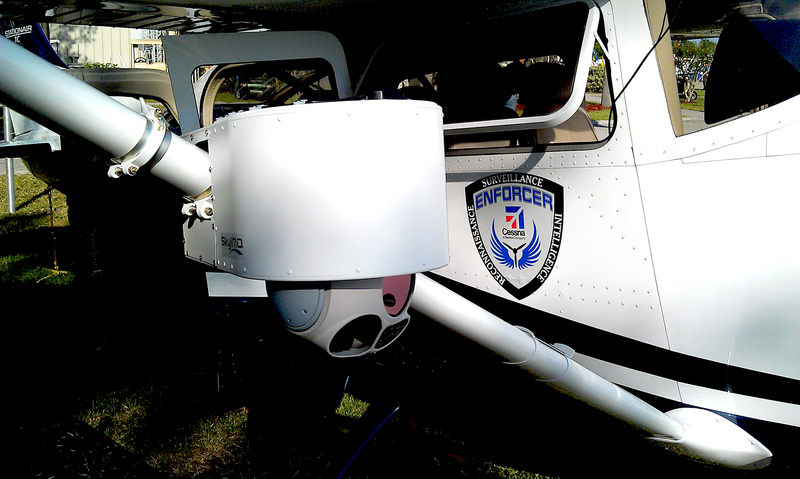 The Cessna Enforcer Program provides law enforcement customers the ability to customize their new Cessna 172, 182 and 206 aircraft with the mission equipment they need for aerial surveillance and live video downlink. The FAA has approved an AML Supplemental Type Certificate (STC) for installation of SkyFusion Pak system on Cessna 172, 182 and 206 aircraft. Small, lightweight and portable, the SkyFusion Pak system can be deployed quickly and installed easily in the field. The system includes a self-contained pod with an application-specific sensor and motorized control that is ready to be mounted on both left and/or right wing struts or under belly. The system can be configured with optional components, such as EO imager and infrared sensors, to meet the needs of different applications. It also includes a flight control laptop computer that is customized and pre-configured with comprehensive management and control software. This entry was posted in aerial camera pod, Cessna Enforcer, skyfusion pak. Bookmark the permalink.